These are the details given for 1st august, Wednesday meet the Principal Session. Logistics In charge: David/Aaron , Yi Fei and all other guys who can help to move the instruments over asap, so that we can save time. All guys please help with the instruments, sincere thanks! All members are to be responsible for your own instruments alright =) thks! Excuse Letters will be given on that day. There are some issues that i need to bring forth attention to all of you. As we know, exams and debarring period is here, i understand that there are quite a number of you have gotten warning letters despite submitting all your excuse letters up. I urge everyone to contact your PEM(personal mentor) who should be able to assist you. By right, the AIMF trip and other mayflower perfomance, and auditiorium performance should not affect your attendance because they are all valid reasons. Therefore, please double check clearly to ensure that none of you are in the debarment list. If there are anymore of you who needs the approval letter that indicate you have been approved of going for AIMF, please msn me or call me. I will forward them in to your mails. This info is for those performers going for the yellow ribbon project. SINGAPORE: The Nanyang Polytechnic Chinese Orchestra has clinched a gold award in the "Instrumental Category" at the 18th Australian International Music Festival held in Sydney. This was the orchestra's first international foray. According to Chris Gibbs, GM and Director of World Projects, Nanyang is the first and only team in the history of all their festivals to receive full marks. Let's work even harder and continue striving for greater heights!! Here's some announcements, both COMBINEd and SECTIONAL practices will resume next week, starting from 16th July. Please turn up for your sectional practice =) we have more programmes coming up !! The following people please get back to me by 11/07 if you guys can make it. Guys, once again EVCO's annual concert is back! 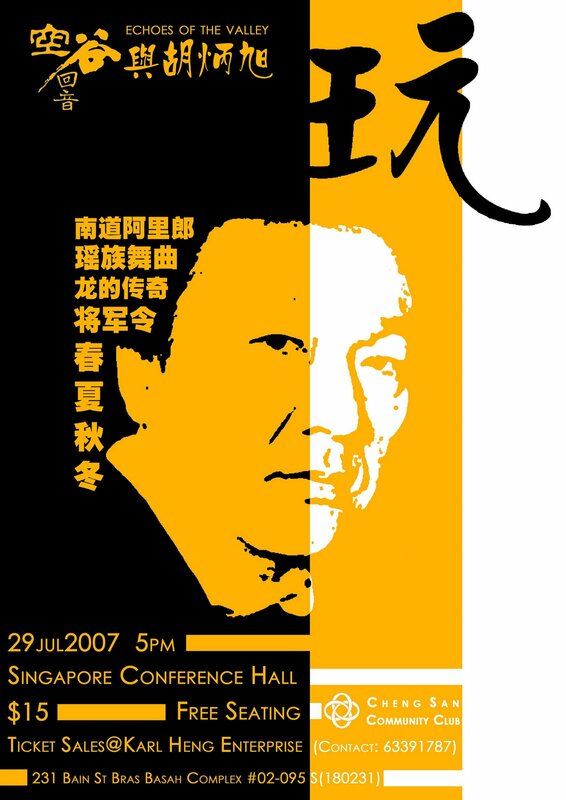 This time round it will be a action packed performance by the EVCO members who would bring pleasant melodies like Nan Dao and Yao Zu, majestic pieces like Long de Chuan Qi and Jiang Jun Ling, and none nevertheless the rhythmical seasons pieces; Chun, Xia, Qiu, Dong~! what a Oh My God songs EVCO will be playing and what are you waiting for!? grab the tickets while they are still available! 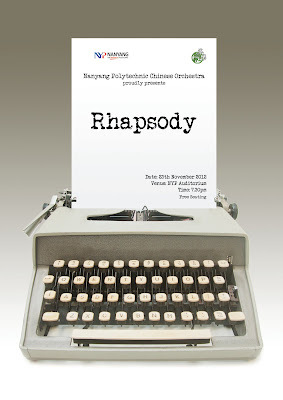 Do come and support your fellow CO friends~! For your information, there might be some grants given exclusively to NYPCO members so you would be paying less then the price stated for the concert. if you are interested to watch and wish to receive the grant, kindly make a request ONLY to your respective sectional leader that you want a ticket possibly by 16 of July and wait patiently for instruction to get your tickets. Damien, on behalf of EVCO. I've jus received news from Mike that our all time composer Mr Yeo Puay Hian jus passed away this morning 11 July 2007. NYPCO would like to show our condolences to Mr Yeo's family. After working hard for so many months, it's time for us to take a short short break. Rest to go further yeah =) Section A will have break for around a week till Mr Chiang says resume. Once confirm i will inform the Sectional Leader to tell you all. Those who are sick pls make use of this break really take good care of yourselves. I will paste a sheet of the timeline in the co room once I can confirm most of it =) Look forward to it!!!! New repertoires are out so let's contiune to work hard!